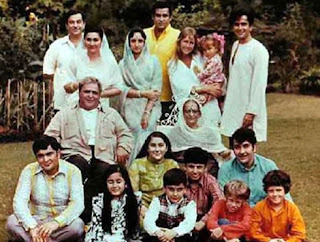 With the arrival of Prithviraj Kapoor in Hindi cinema, began the Kapoor Dynasty which is into its fourth generation now and is still going strong. The legend and his three sons, Ranbir Raj Kapoor (Raj), Shamsher Raj Kapoor (Shammi) and Balbir Raj Kapoor(Shashi) have all been absolute charmers on screen. The Raj Kapoor legacy continued with Randhir (married to actress Babita), Rishi(married to actress Neetu Singh) and Rajeev Kapoor. 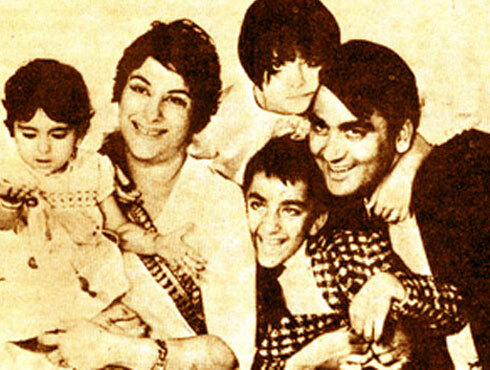 The sons of Shammi and Shahi Kapoor, however could not thrive in the industry. Karishma and Kareena, daughters of Randhir Kapoor are the only two women from the Kapoor clan to have ventured into Bollywood. But the one on whose young shoulders, the Kapoor Legacy banks is the reigning prince of Bollywood - Ranbir Kapoor (named Ranbir Raj after his grand father). 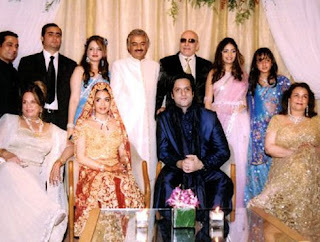 This Khan family is all about cosmopolitanism. Salim Khan, the patriarch of the family in Hindi Cinema was a script writer. He married Sushila, a Hindu lady and has five children- Salman, Arbaaz, Sohail and Alvira and Arpita. He also married Bollywood’ cabaret queen Helen, a Burmese. 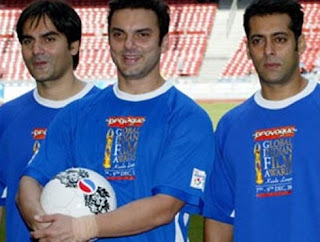 Salman is one of the most loved superstars of B-Town while his brothers Arbaaz and Sohail are actor-director-producer. Arbaaz’s wife Malaika Arora is a VJ-turned actress while his sister-in-law, Amrita Arora also featured in a few films. Sister Alvira is married to actor Atul Agnihotri. ‘The Actor of the Millennium’ Amitabh heads the Bachchan family. His better half, Jaya is also an actress. 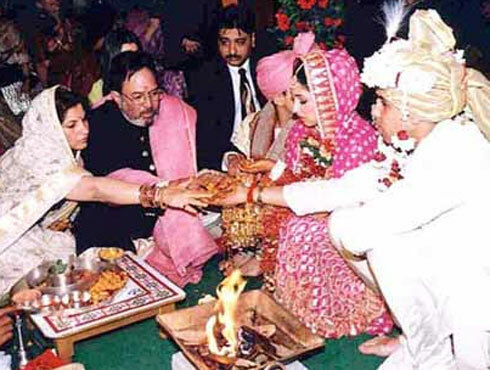 Their son Abhishek has followed in the footsteps of his parents while daughter Shweta is married into the Nanda family. Shweta’s mother-in-law Ritu is legendry actor Raj Kapoor’s daughter. Abhishek is married to former Miss World and actress Aishwarya Rai. 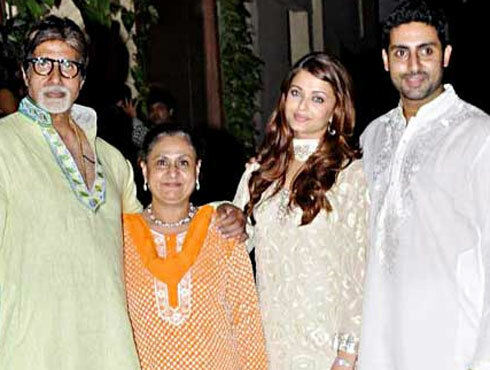 The Bachchan family is undoubtedly one of the most important pillars of Bollywood. The Deol family in Bollywood began with the original He-Man of India, Dharam Singh Deol, also known as Dharmendra. The rustic man from Punjab married twice and has maintained both his wives. His sons Ajay (Sunny) and Vijay (Bobby) from his first wife Prakash, followed in the foot steps of their father. Their cousin Abhay also entered Bollywood and is now one of the most critically acclaimed actors of the Tinsel Town. Sunny who is married to Pooja has two sons. His elder son Karan is also on the threshold of beginning his acting career. Bobby is married to Tanya and has two sons Aryamaan and Dharam. Dharmendra has two daughters Esha and Ahana from Hema Mailini (an actress). Esha has pursued acting while Ahana has decided to keep away from the glam world. The Roshan legacy in Bollywood began with Roshan Lal Nagrath, a renowned music directorof the 1950s and 1960s. His elder son Rakesh opted for acting and direction while the younger son Rajesh became a music composer. 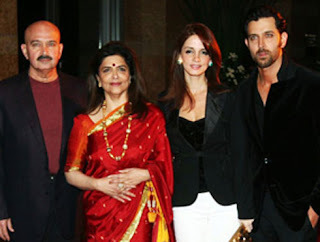 The Roshan family, now into its third generation in Bollywood has produced Hrithik Roshan, one of the most promising and gifted actors of Indian cinema. Hrithik is married to actor Sanjay Khan’s daughter Suzanne and has two sons Hrehaan and Hridaan from her. The Khans have immensely contributed to hindi cinema. ‘Perfectionist Aamir Khan hails from a family of filmmakers and producers. His father Tahir Hussain was a film producer while his uncle Nasir Hussain was a producer-director. Aamir’s cousin Tariq Hussain was an actor. Faisal, Aamir’s younger brother also tried his bit in acting. The superstar, launched his nephew, Imran in ‘Jaane Tu Ya Jaane Na’, a blockbuster. Kid Khan is making waves in the industry by following in the footsteps of his uncle Aamir. 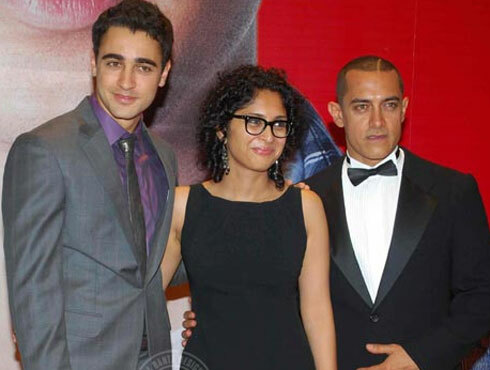 Kiran Rao, the second wife of the superstar is a script writer and a filmmaker while his first wife Reena Dutta had produced his Oscar nominated film ‘Lagaan’. Aamir has a son Junaid Hussain and daughter Ira from his first wife Reena Dutta. Surinder, father of Boney, Anil and Sanjay Kapoor was a film producer of his times. His three sons carried on his legacy in Bollywood, with the eldest opting for film production and direction, while the younger ones choosing to become actors. Boney Kapoor, who is married to actress Sridevi has two daughters from her. Anil Kapoor married Sunita and has two daughters Sonam, Rhea and a son Harshvardhan. Sonam is now one of the most adored Bollywood actresses while her sister is a producer. Younger brother Sanjay is married to jewelry designer Maheep and has a daughter named Shania. 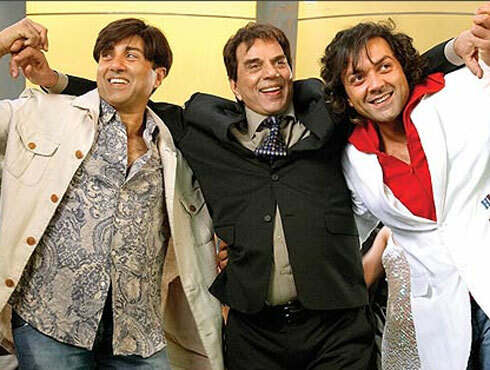 Feroz Khan and his brothers Sanjay and Akbar Khan form Bollywood’s old Khan Family. The brother trio acted as well as produced and directed films. Feroz Khan’s son Fardeen now takes charge of the Khan legacy along with his cousin Zayed Khan, son of Sanjay Khan. The senior Khans have produced films which had bold subjects, something which was quite unusual for Hindi cinema. Fardeen is married to Natasha, daughter of actress Mumtaz. The Khanna family is headed by the first superstar of hindi cinema, Rajesh Khanna. The star of yesteryears married Dimple Kapadia who debuted with blockbuster ‘Bobby’. Khanna’s sister-in-law Simple was also an actress. The couple has two daughters, Twinkle and Rinkie. Both the daughters of Khanna entered Bollywood but quit the industry after they got married. Twinkle is married to action king Akshay Kumar aka Rajiv Hariom Bhatia. Akki and Twinkle have a son named Aarav. The Dutt family is one of the oldest in the industry. Sunil Dutt married his ‘Mother India’ co-star Nargis. Dutt launched his son Sanjay in a film titled ‘Rocky’ and since then the junior Dutt has been contributing to Hindi cinema in his own unique way. His first wife, Richa was a model turned actress who dies of cancer. His daughter Trishala is now planning to pursue acting. Sanjay’s sister Namrata is married to actor Kumar Gaurav of ‘Love Story’ fame. Gaurav is the son of legendry actor Rajendra Kumar. Sanjay’s second sister Priya is a politician. Sanjay recently married Mantaya and recently became a father of twins.